On April 20, a regular meeting of the Committee of Chiefs of Defence Staff of the Commonwealth of Independent States (CIS) member states chaired by Chief of the General Staff of the Armed Forces of Russia- First Deputy Defense Minister of Russia, Army General Valery Gerasimov was held in Kazan. The representatives of Azerbaijan, Armenia, Belarus, Kazakhstan, Kyrgyzstan, Tajikistan and Uzbekistan arrived in the capital of Tatarstan to take part in the meeting. Before the meeting, the Chiefs of Defence Staff of CIS countries together with Tatarstan Prime Minister Aleksey Pesoshin visited the Victory Park and laid wreath and flowers at the Eternal Flame and the Memorial to honor the Heroes of the Great Patriotic war. 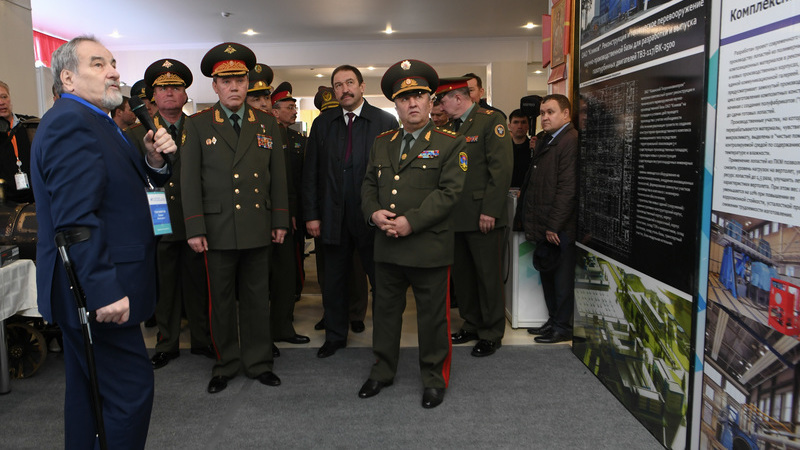 Later the same day, the delegation visited the Kazan Higher Tank Command School where an exhibition of military equipment and weapons of Tatarstan enterprises of defense industry such as the Zelenodolsk Shipbuilding Plant, the Kazan Aviation Factory named after Gorbunov, the Kazan Helicopters Plant, the Kazan Powder Plant, Radioelectronics Scientific and Production Association named after Shimko was organized. The foreign guests were showed the latest development of defense industries: unmanned aerial vehicles, warships, helicopters, shells, communication equipment and many other things.